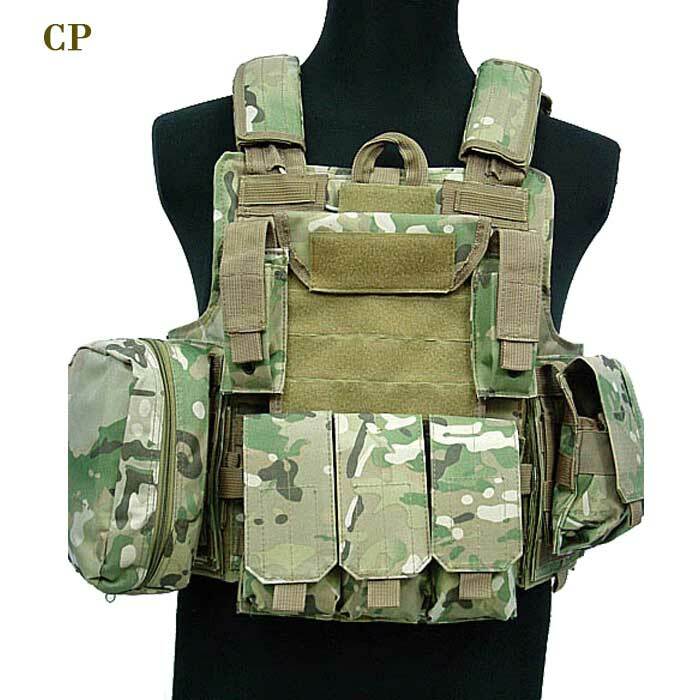 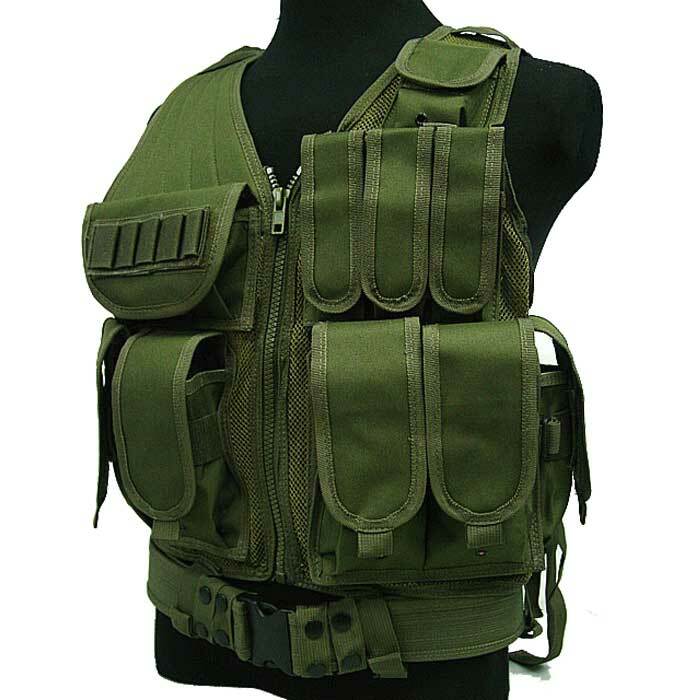 Tactical vests are a great lightweight option for carrying your side arm or magazines. 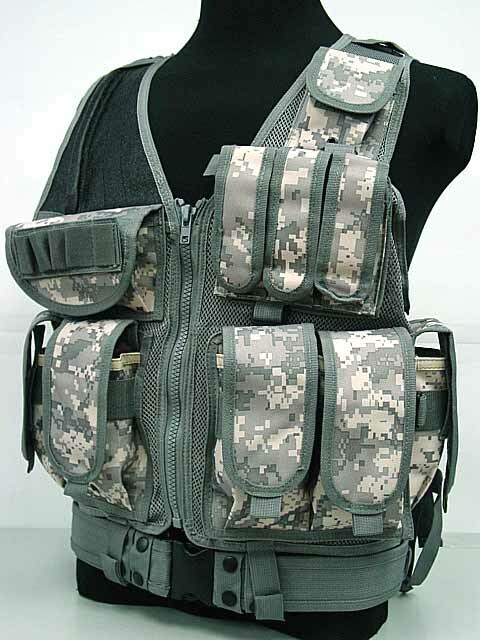 Tactical vests do not carry plates so they save on weight and don't insulate heat the same way a plate carrier would. 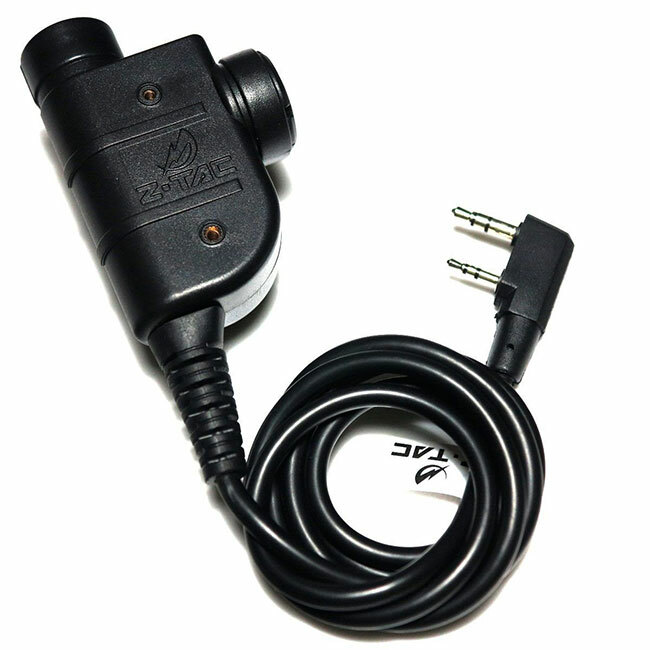 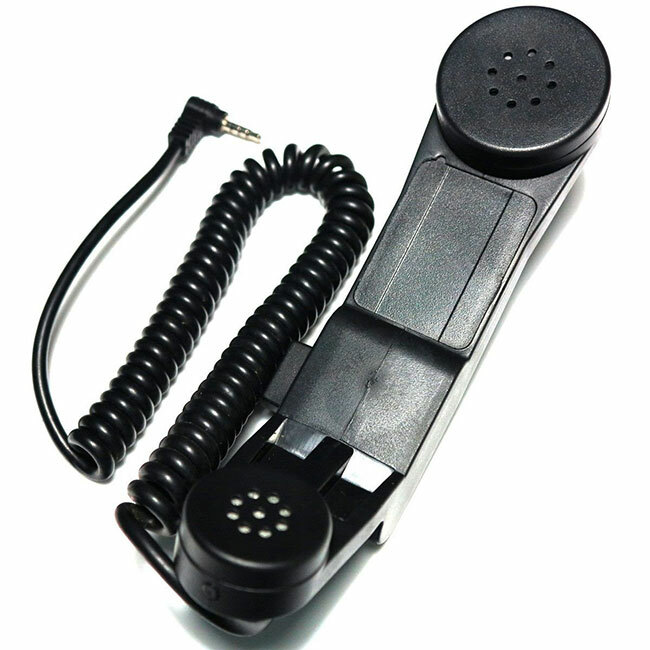 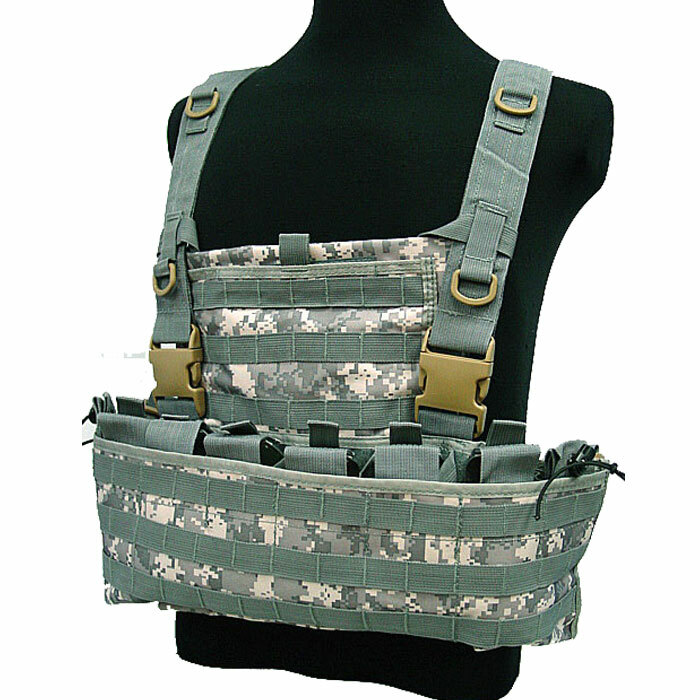 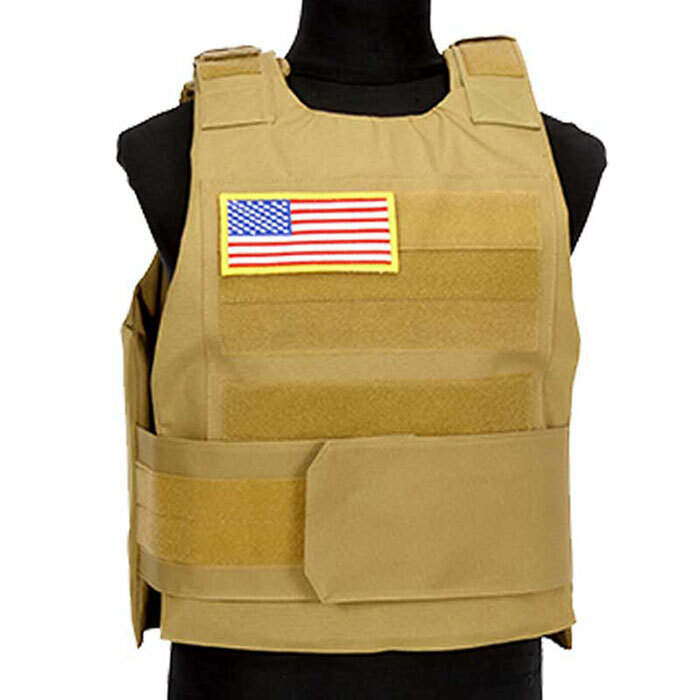 Often, these vests are designed with a front mounted vertical zipper or buckle system. 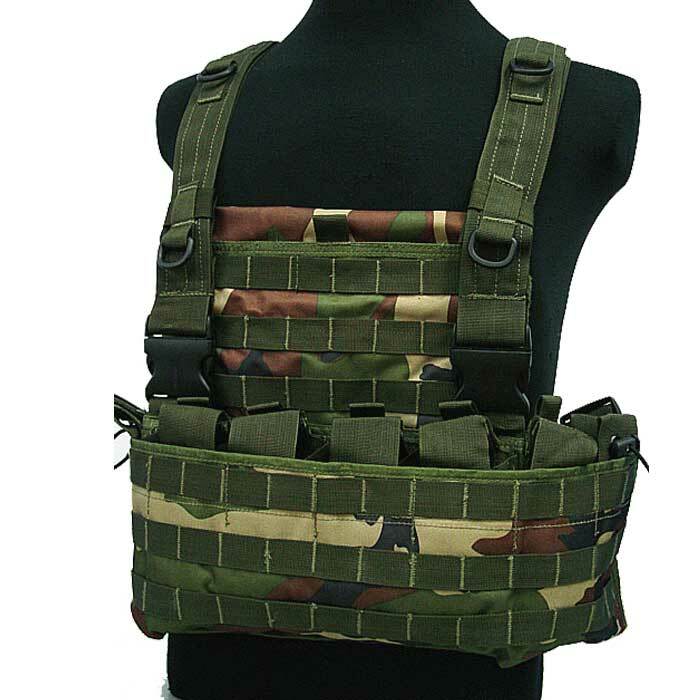 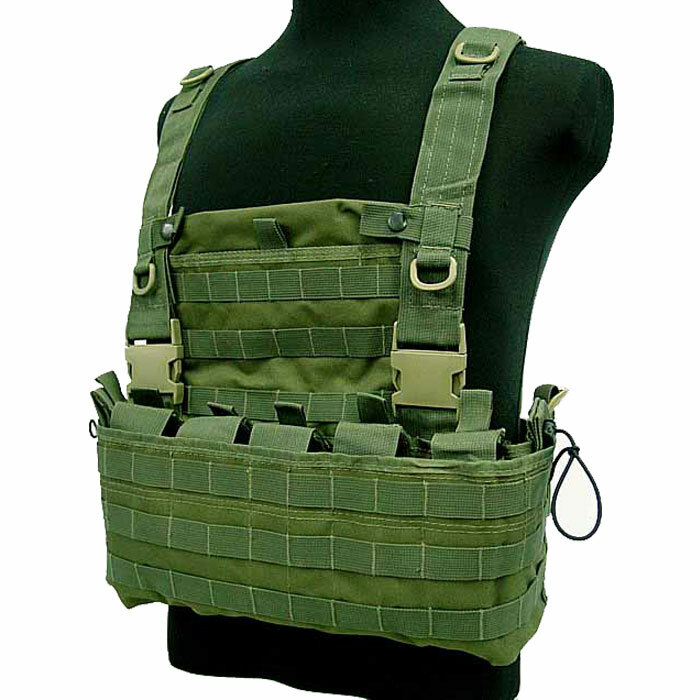 Certain vests have pouches that are sewn on, and some have MOLLE webbing stitched on. 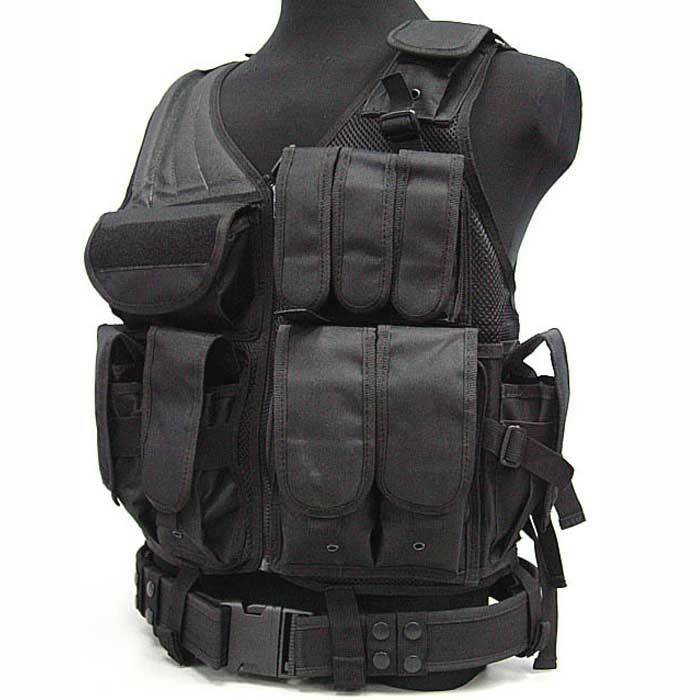 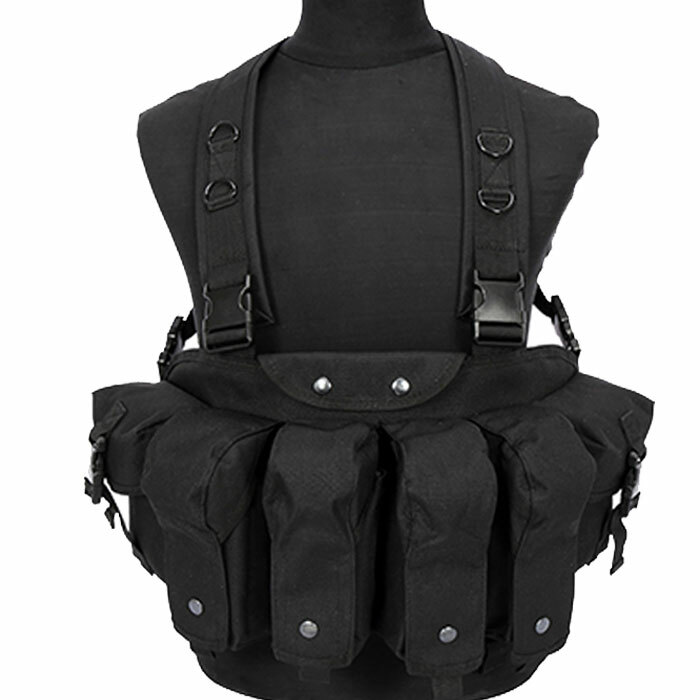 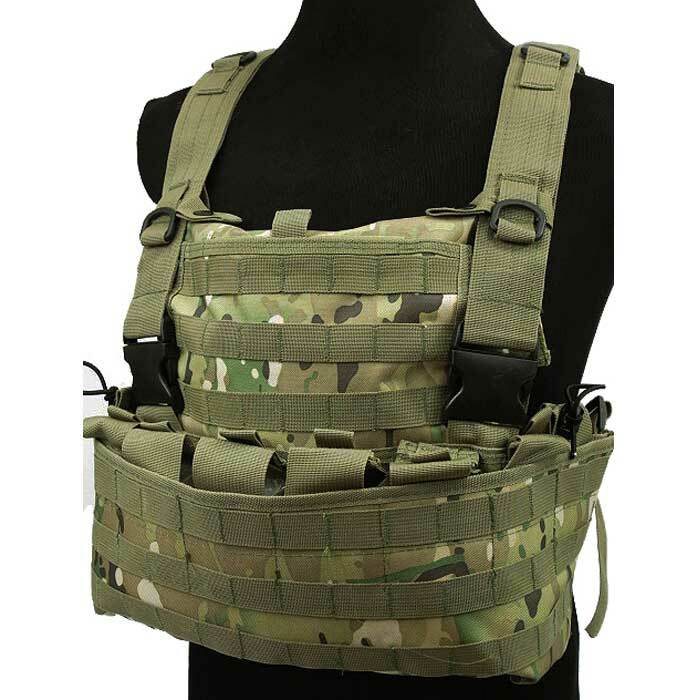 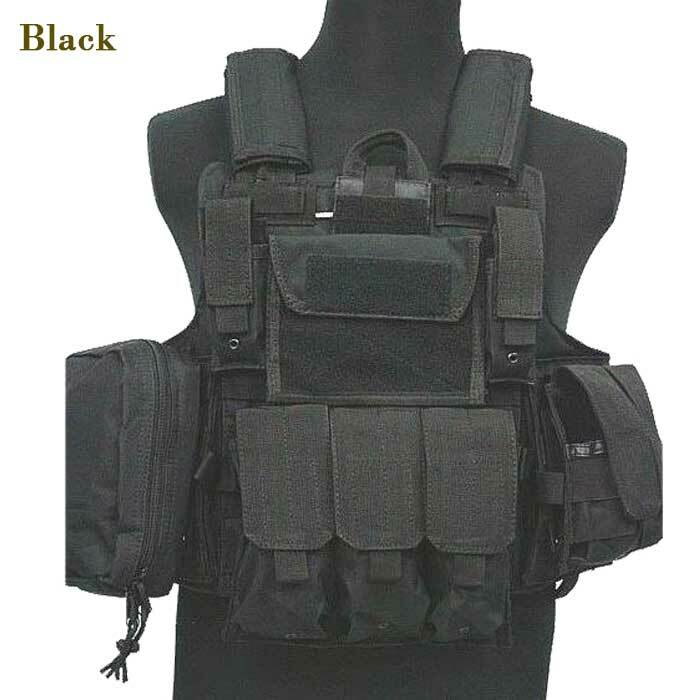 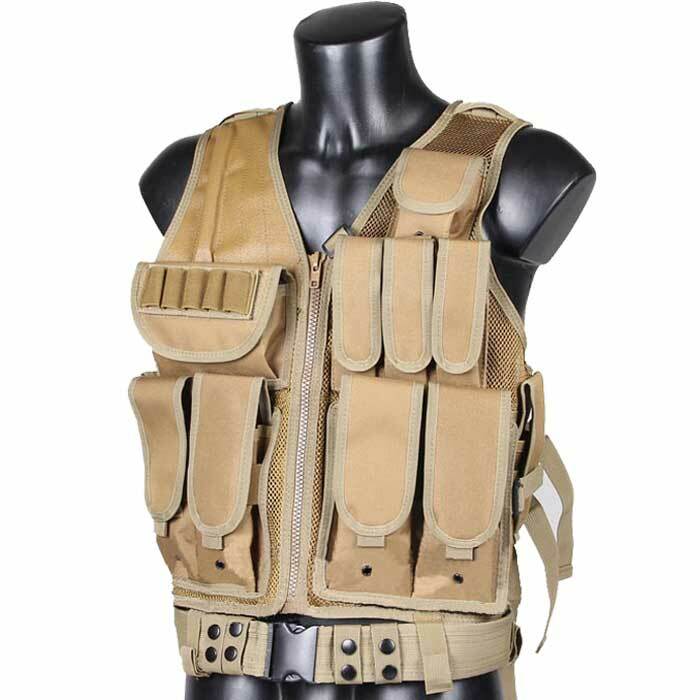 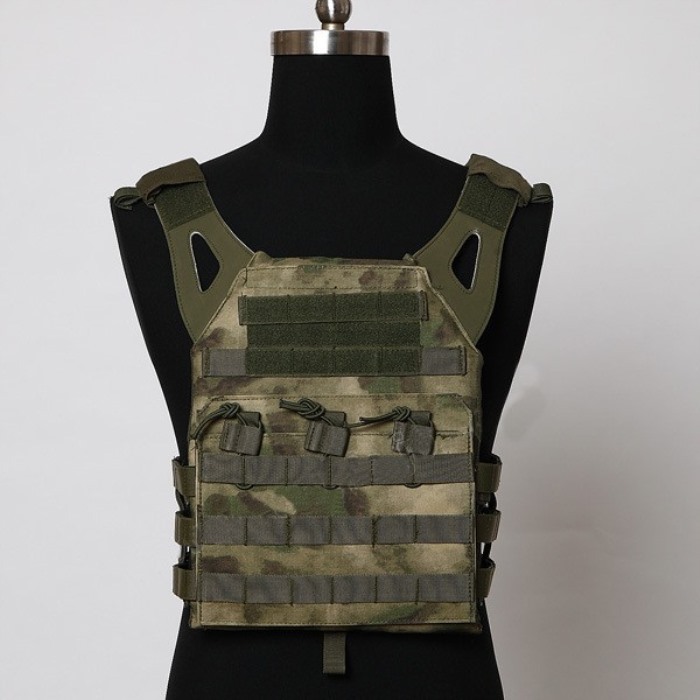 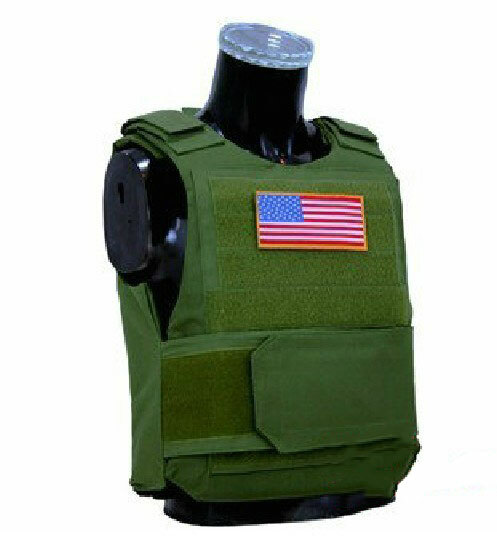 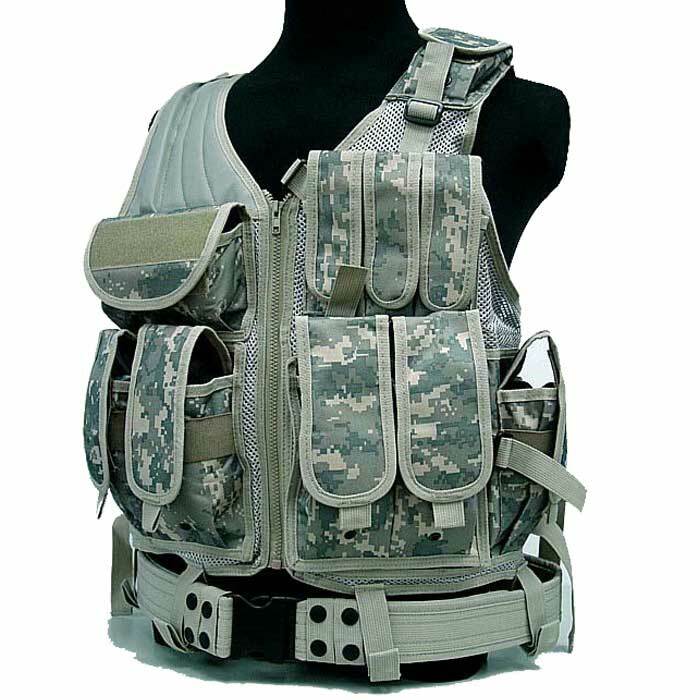 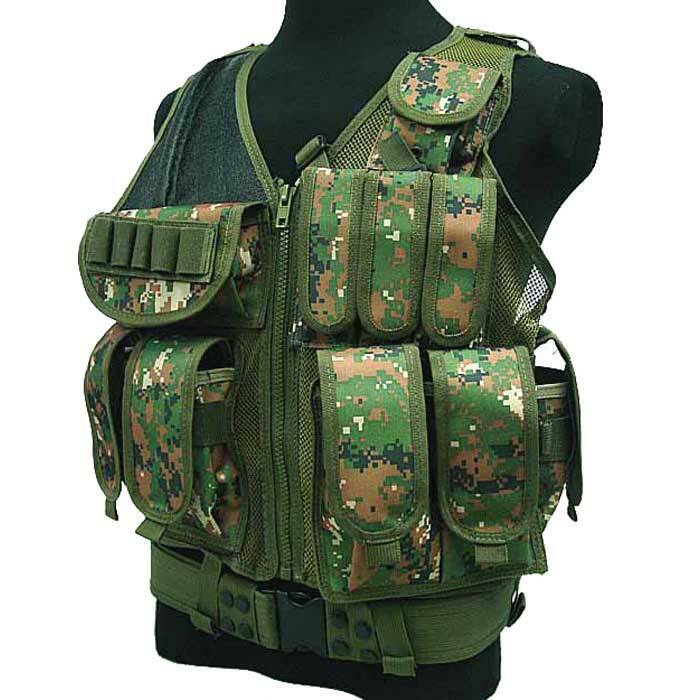 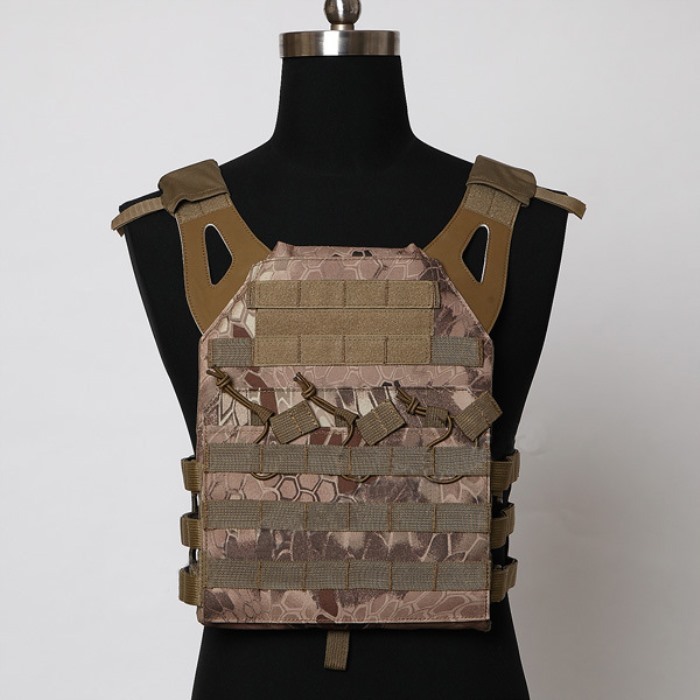 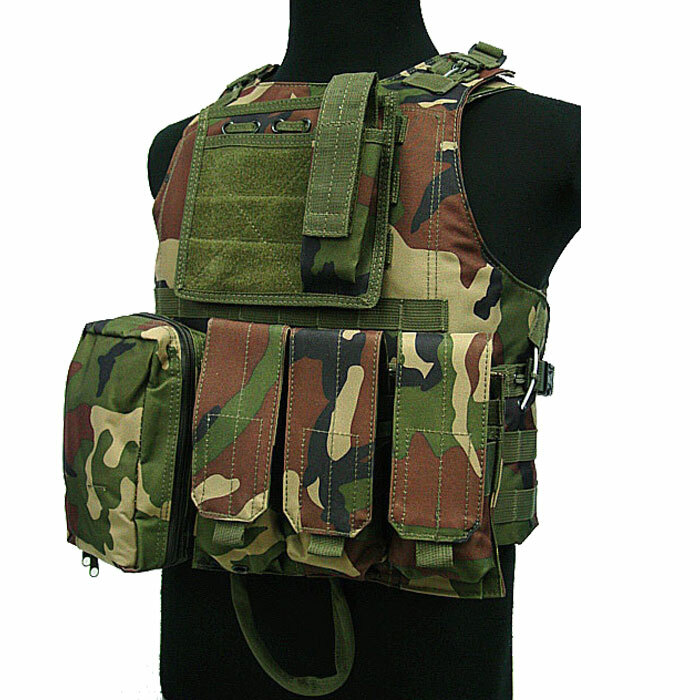 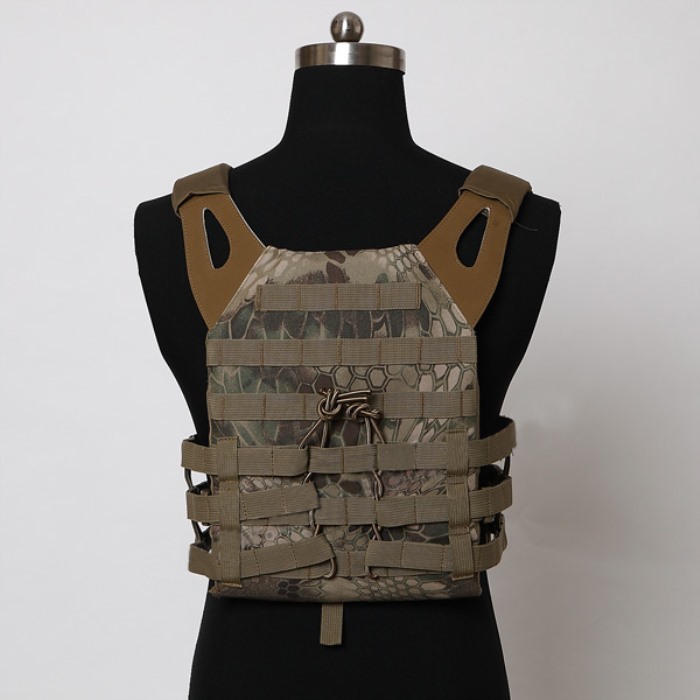 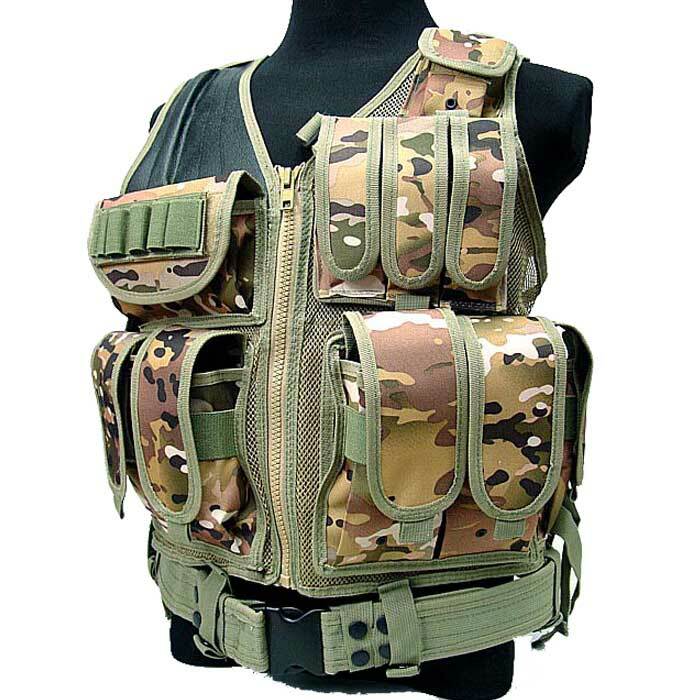 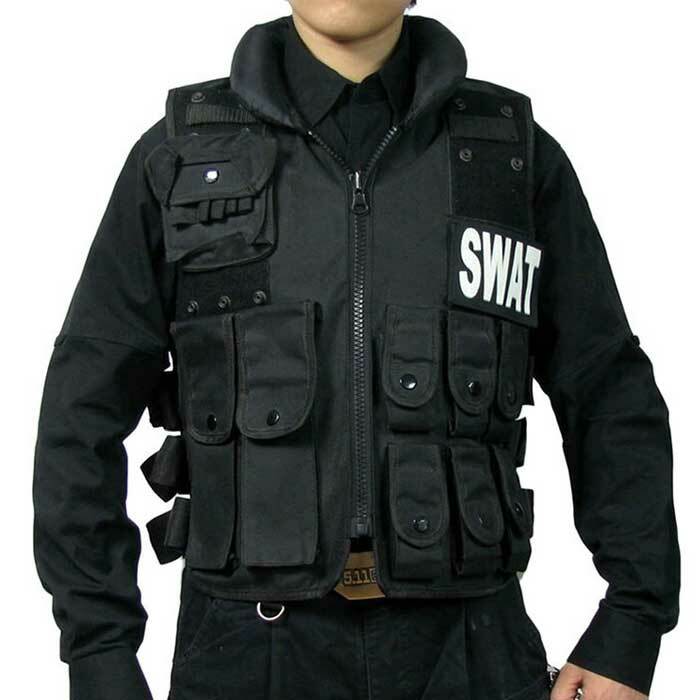 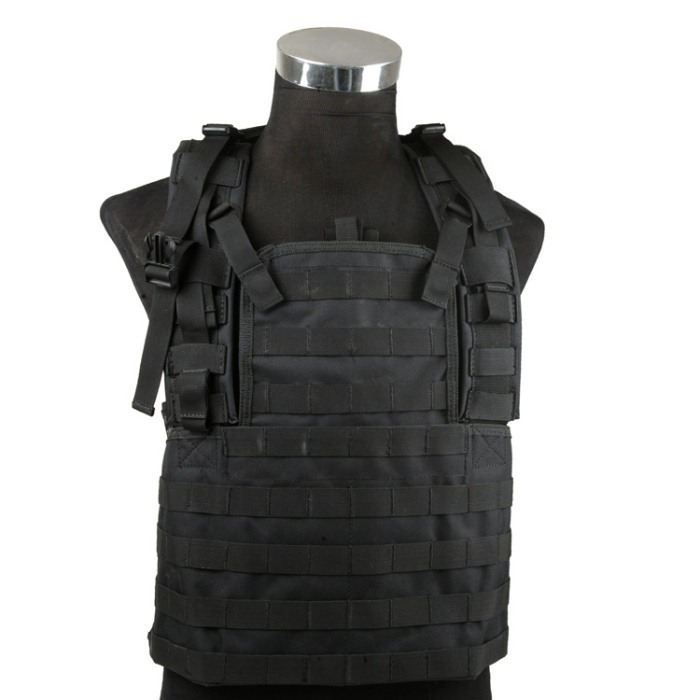 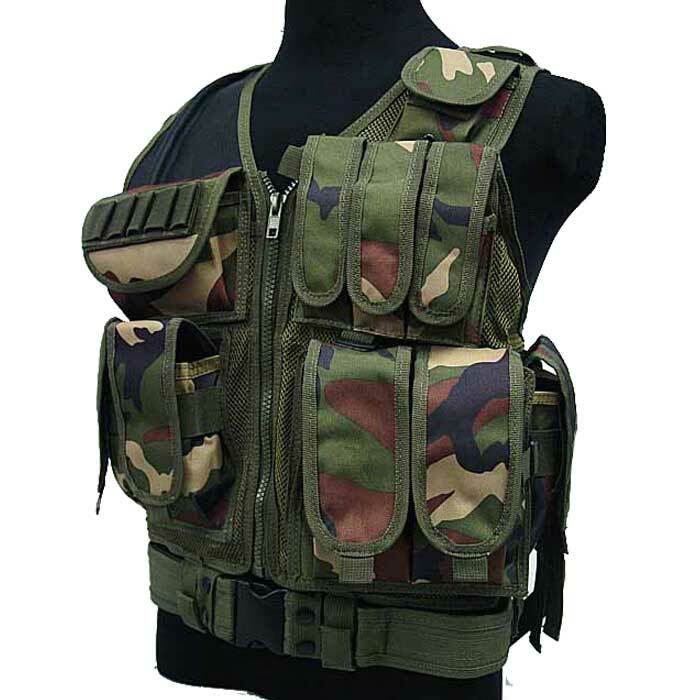 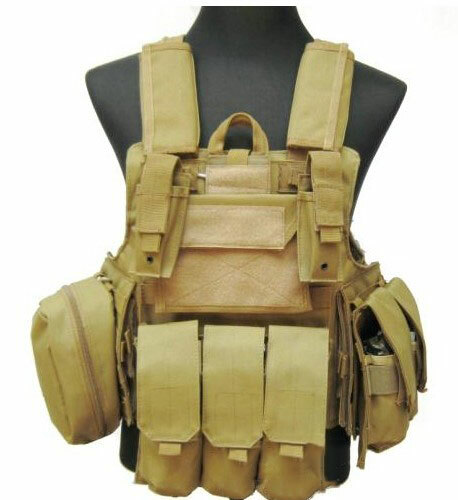 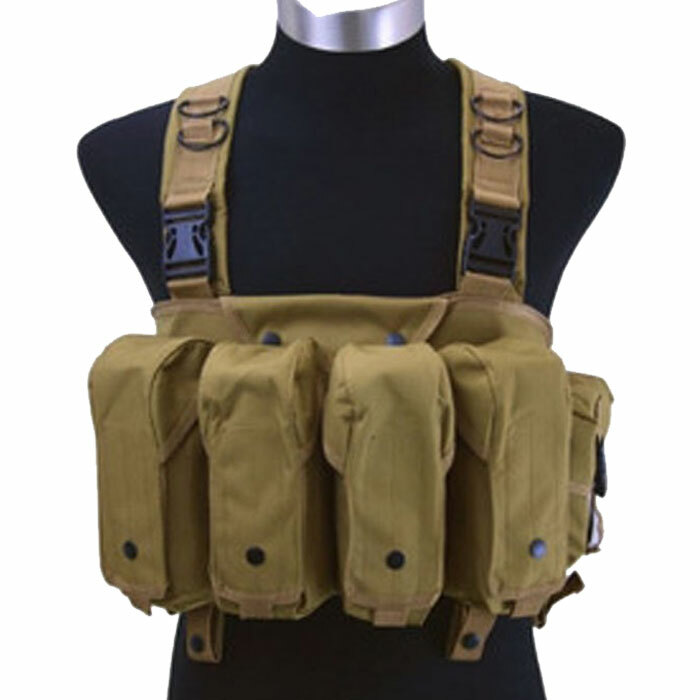 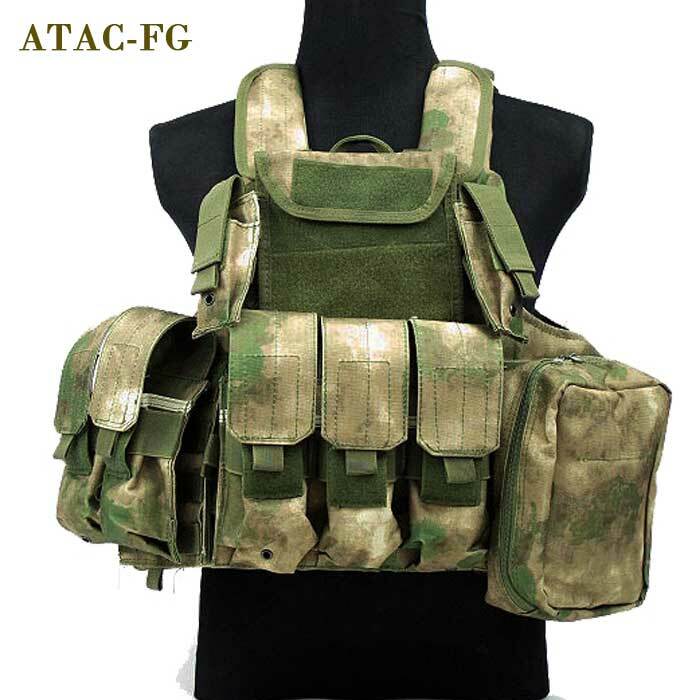 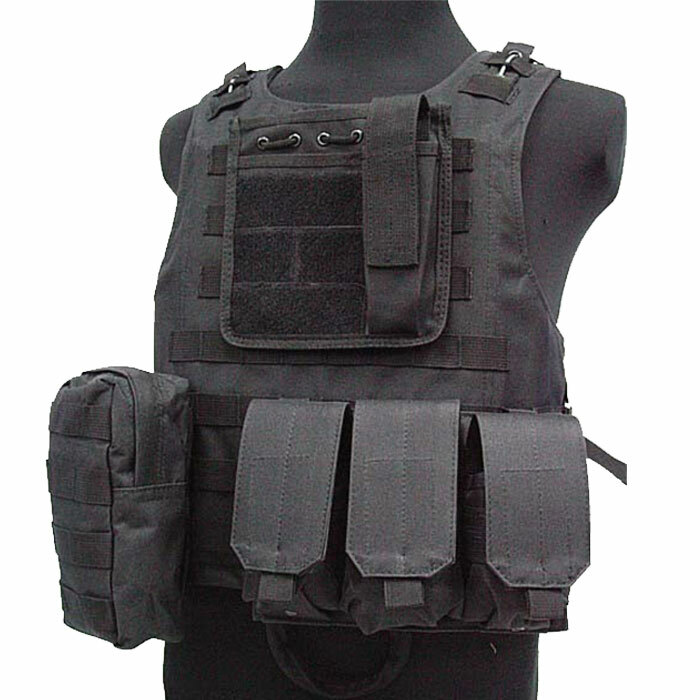 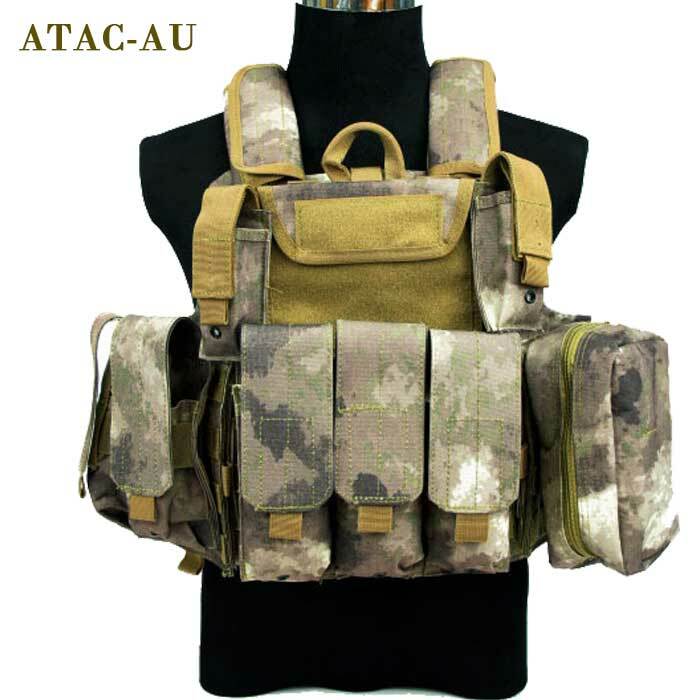 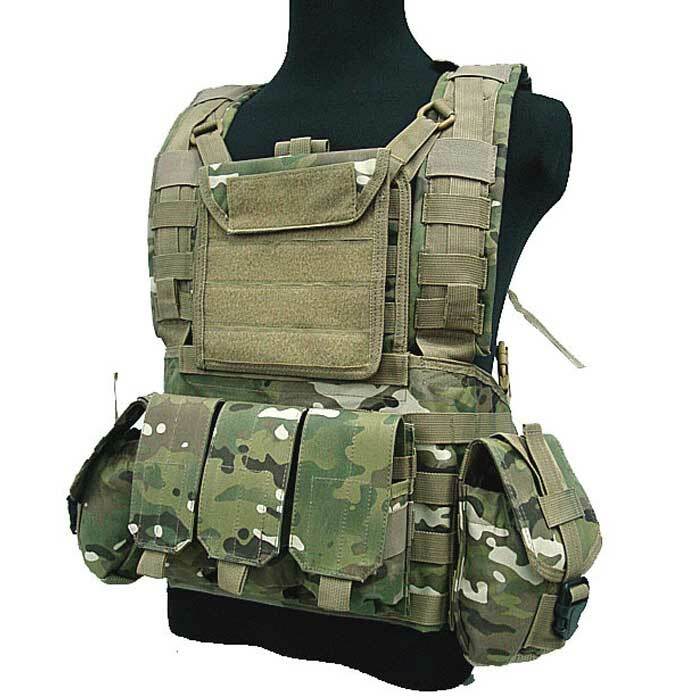 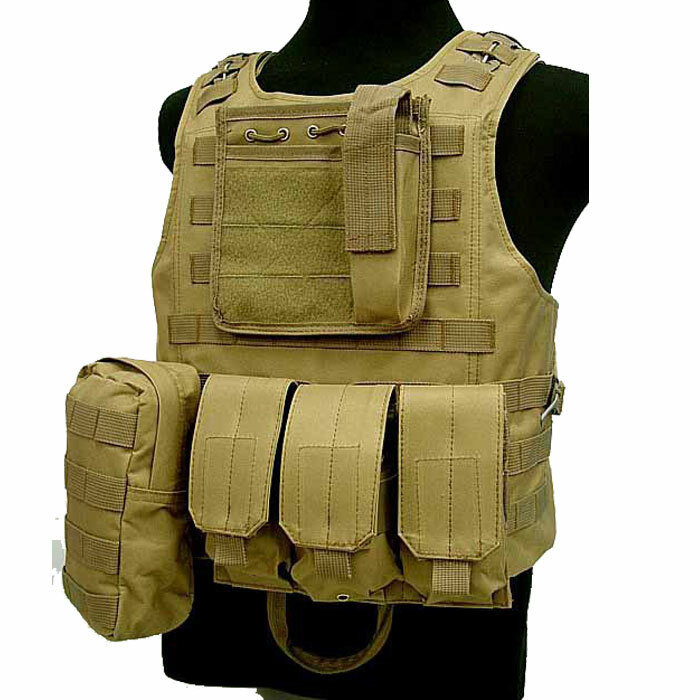 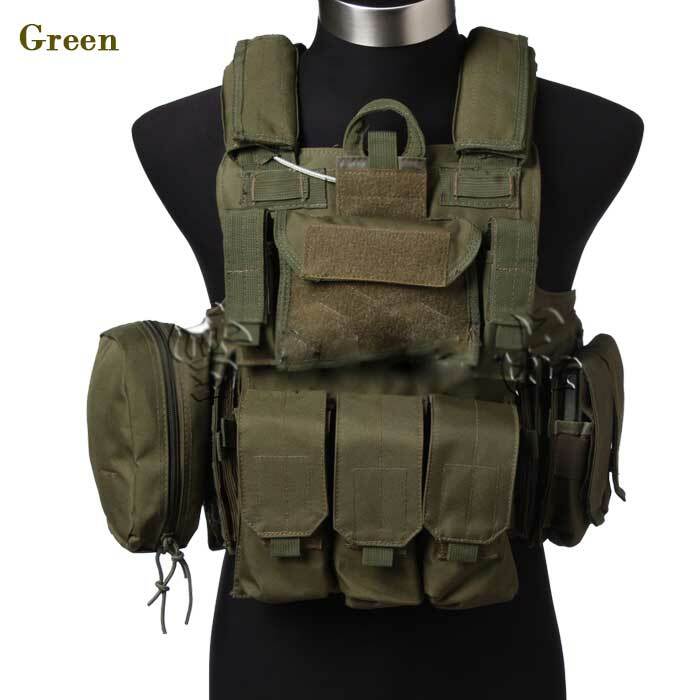 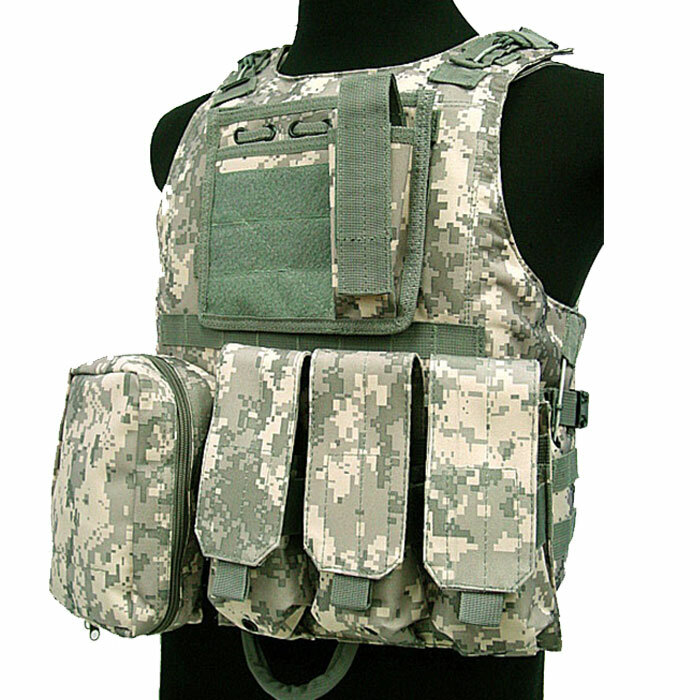 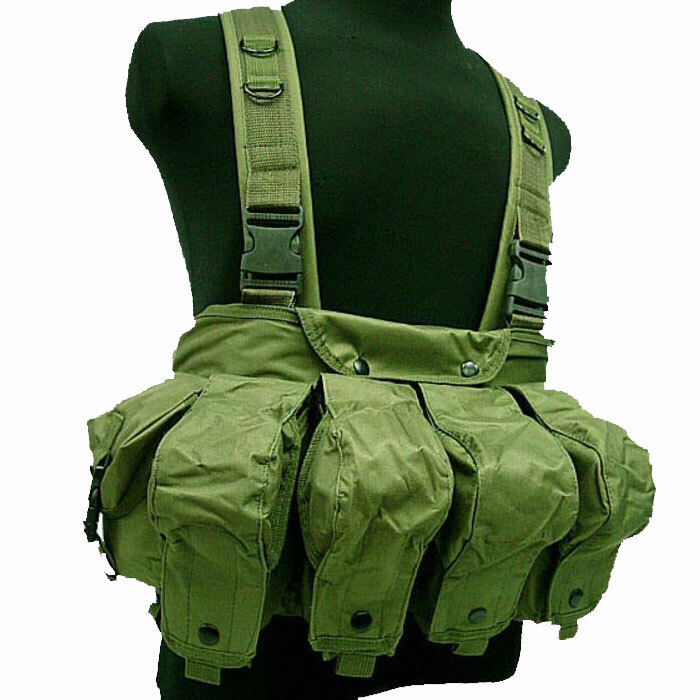 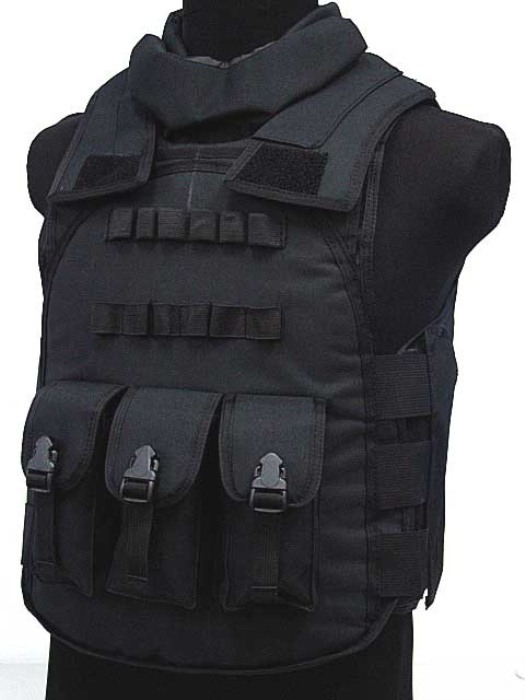 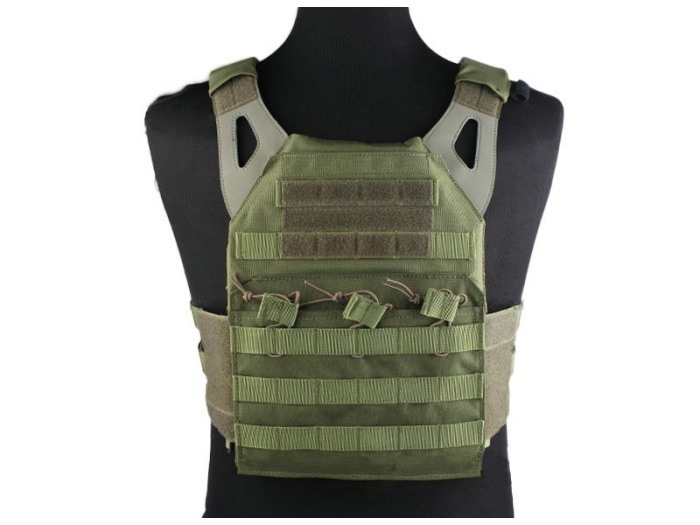 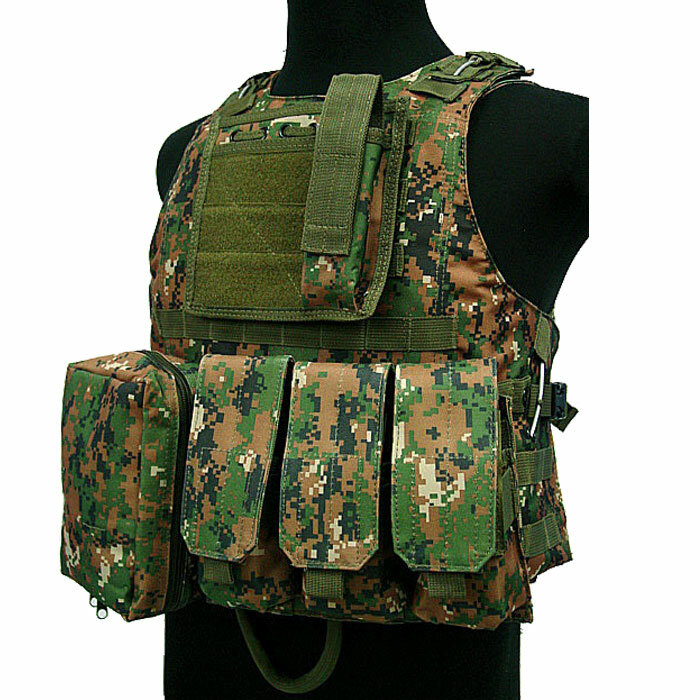 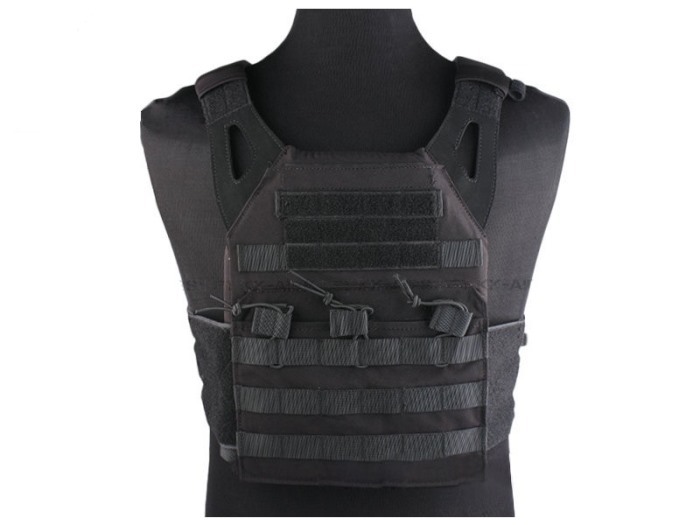 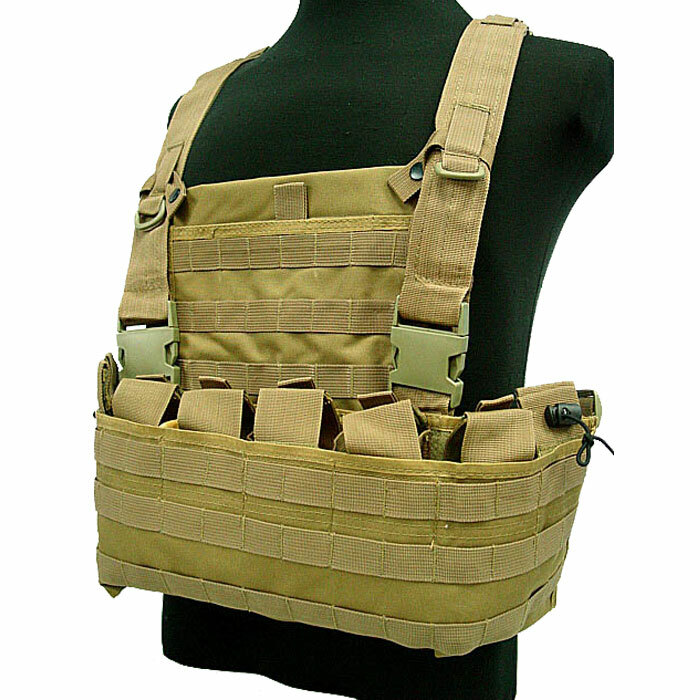 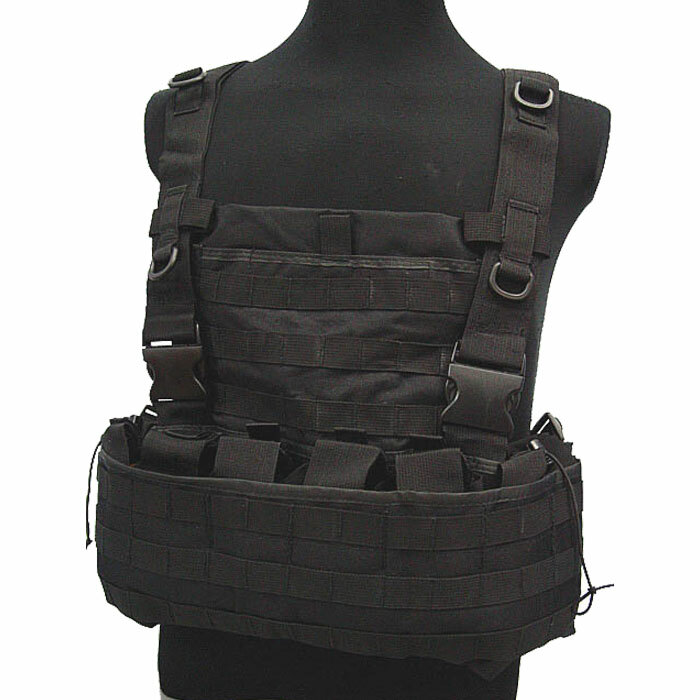 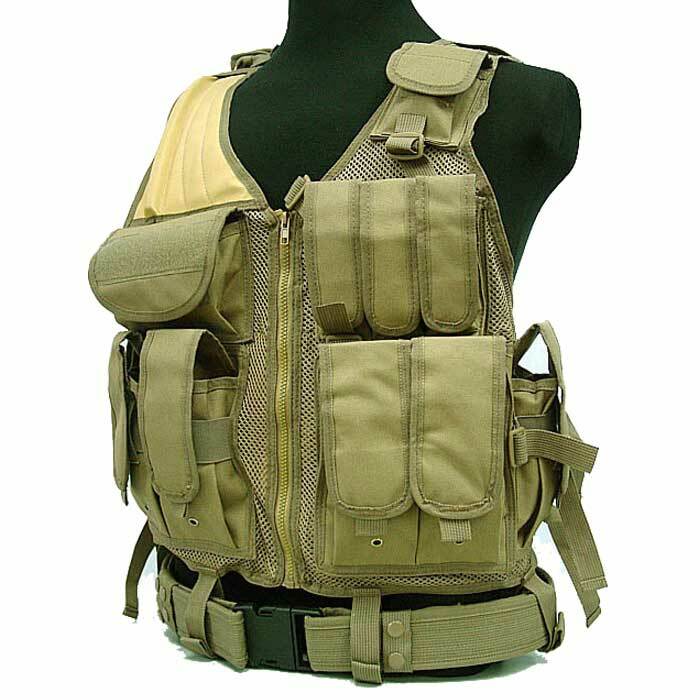 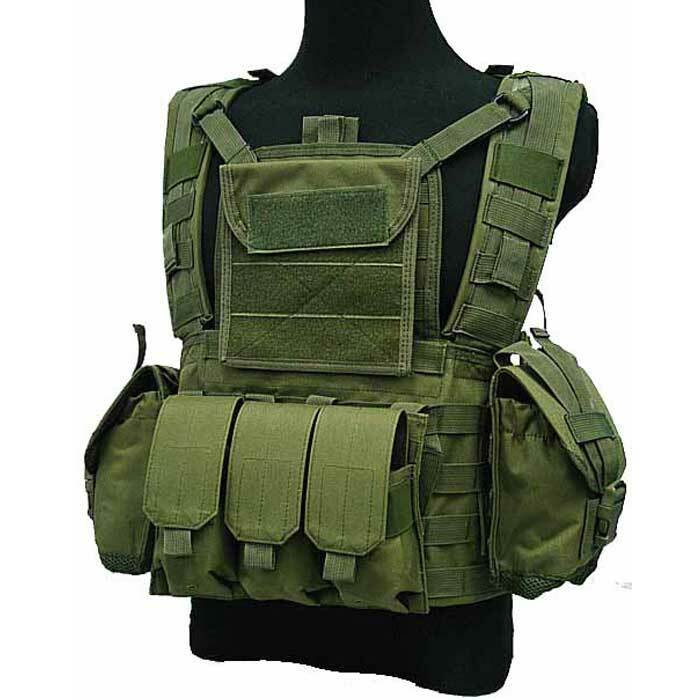 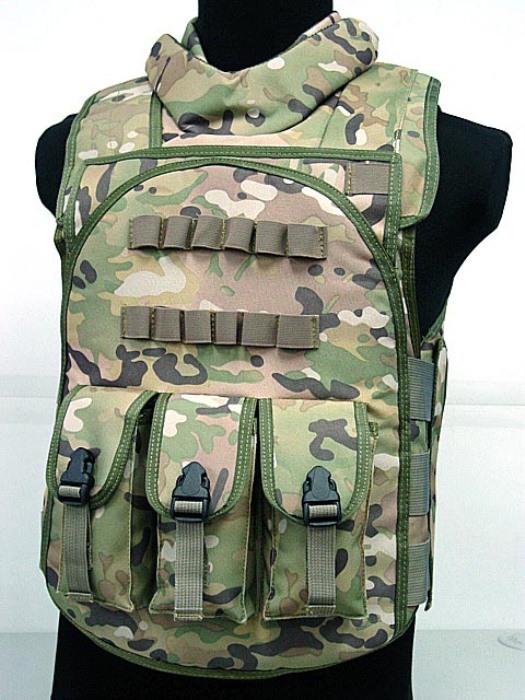 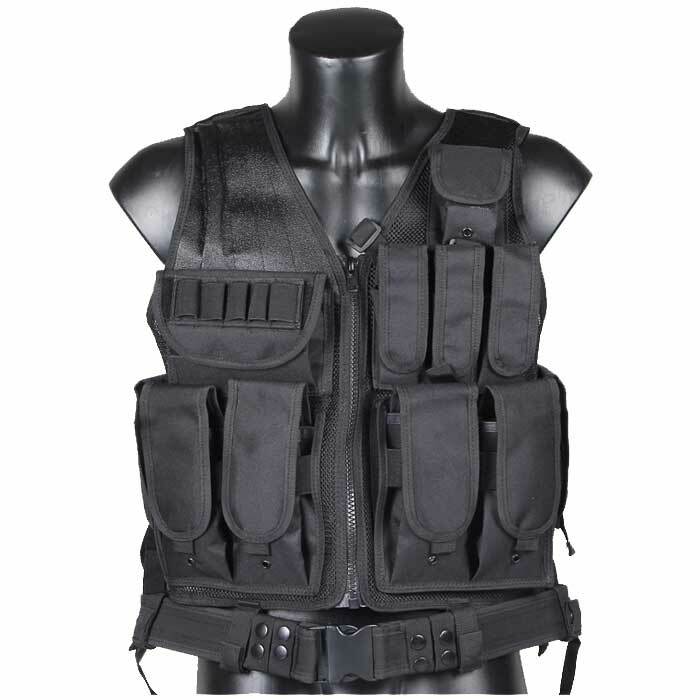 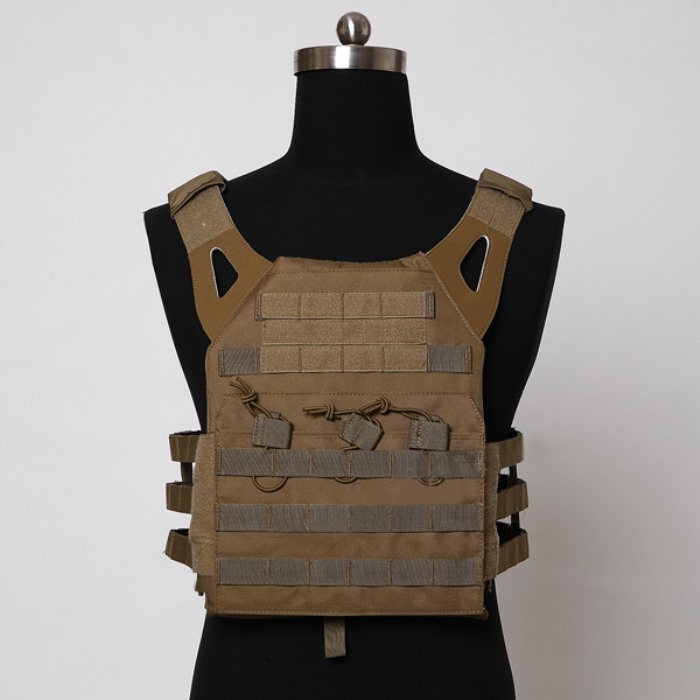 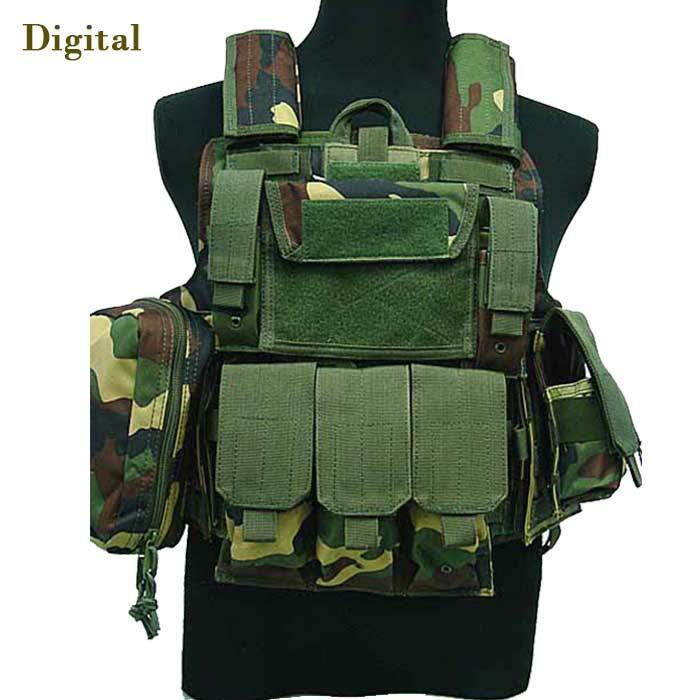 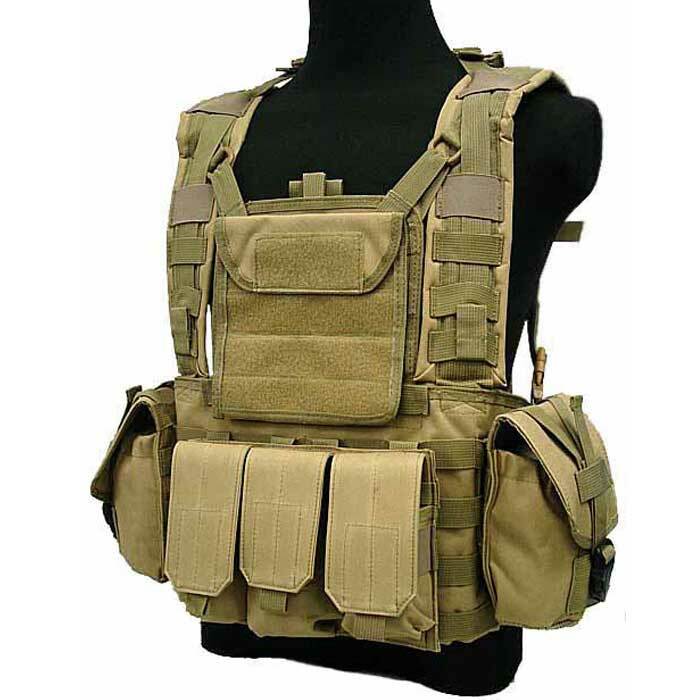 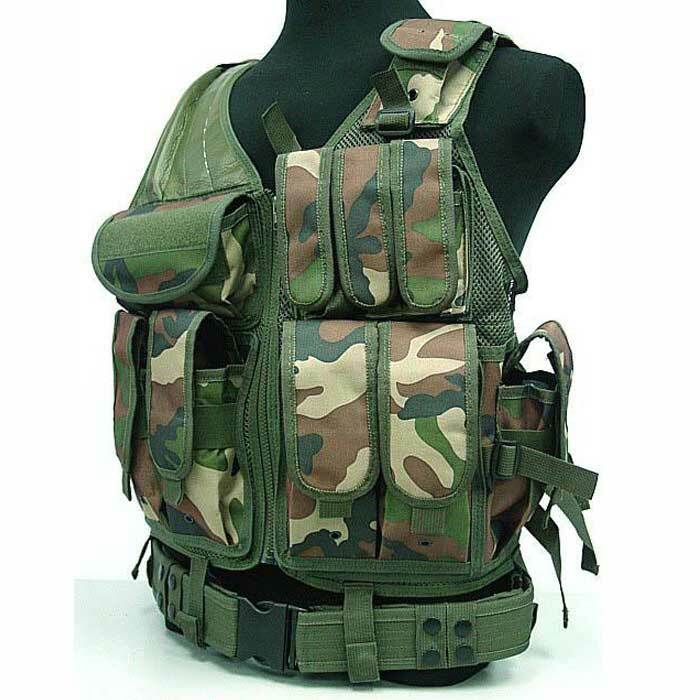 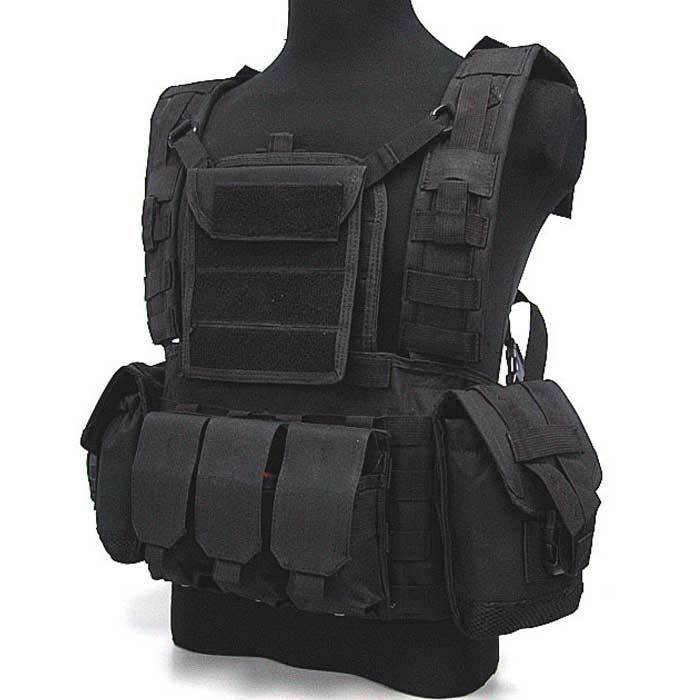 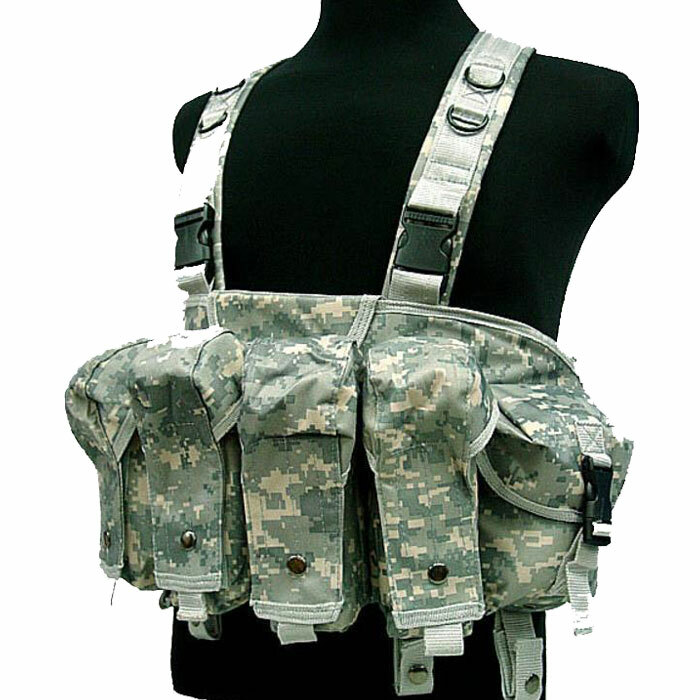 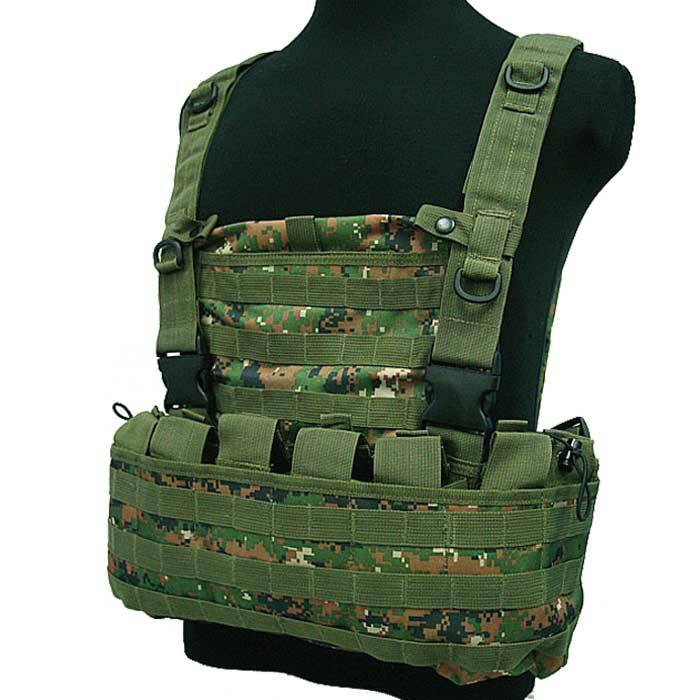 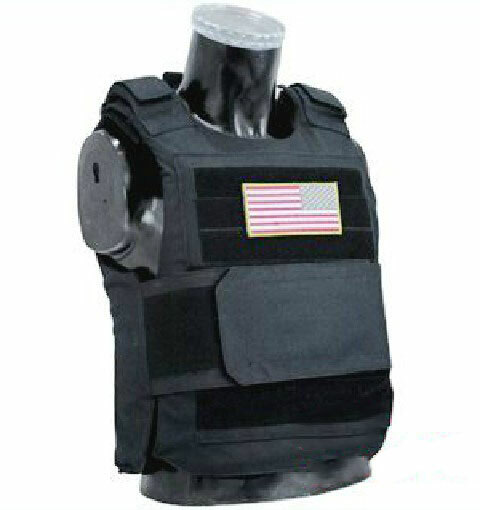 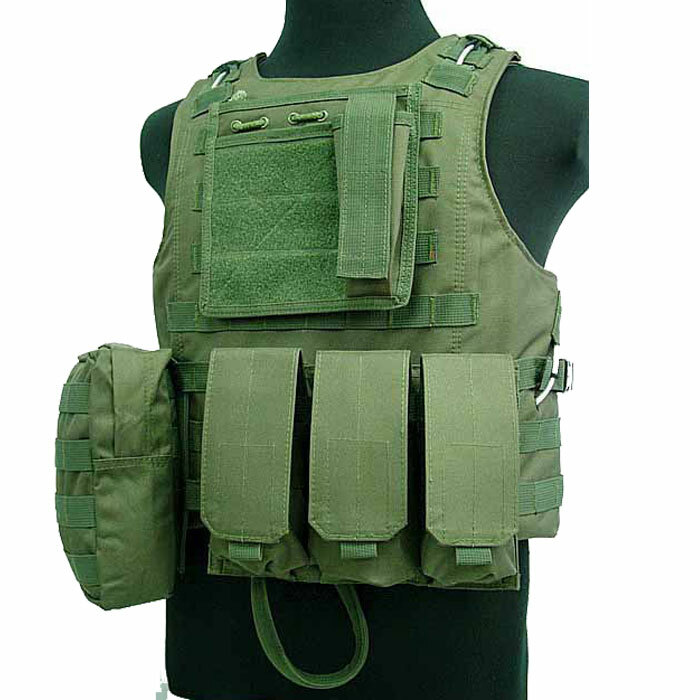 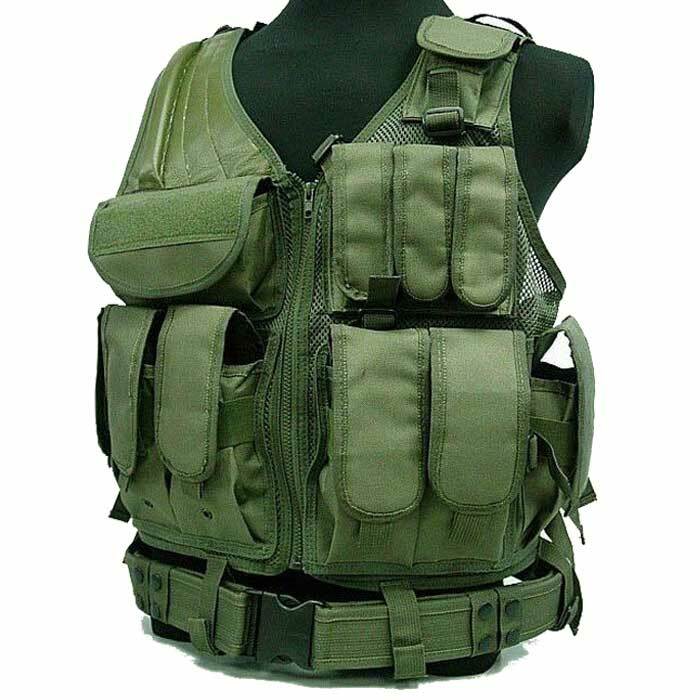 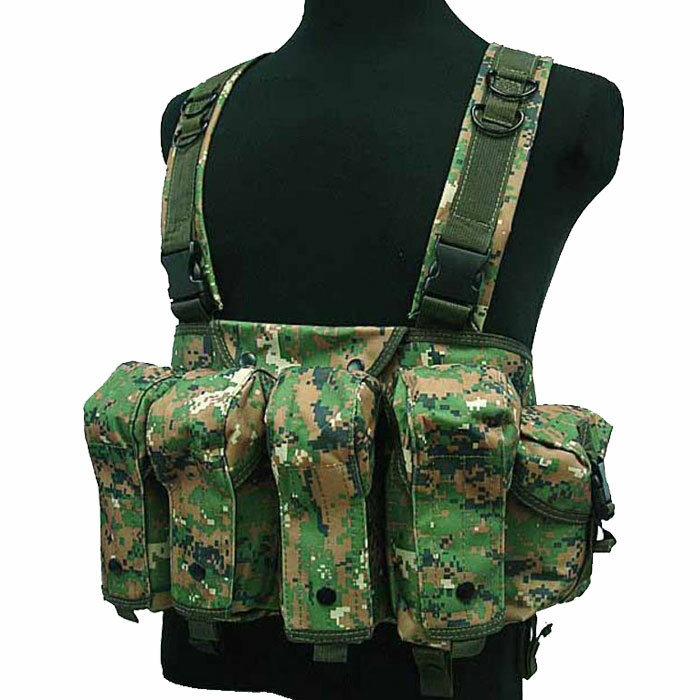 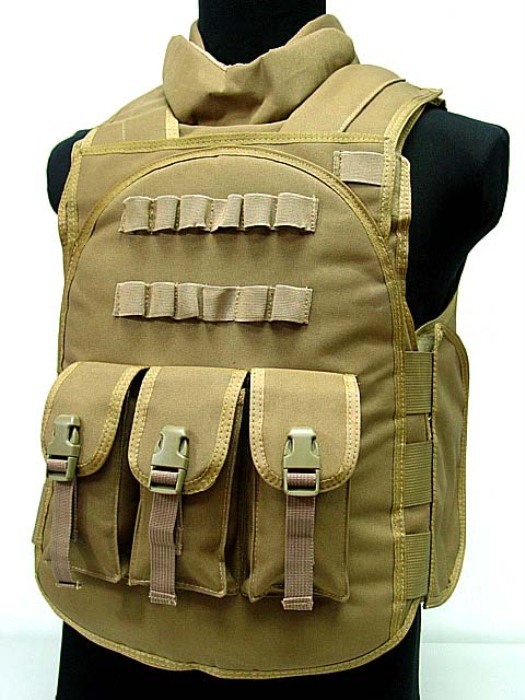 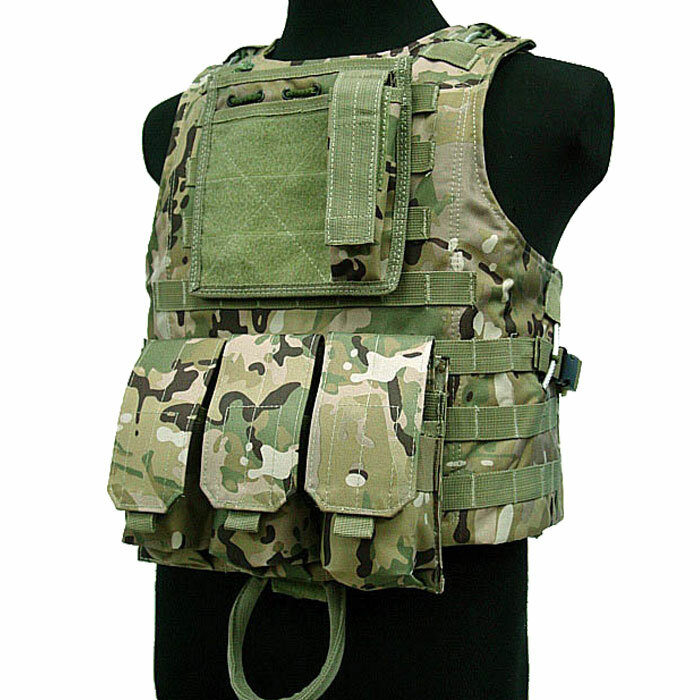 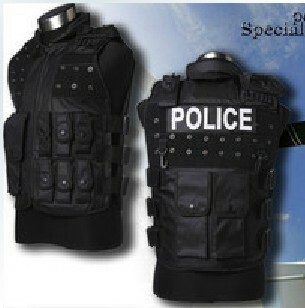 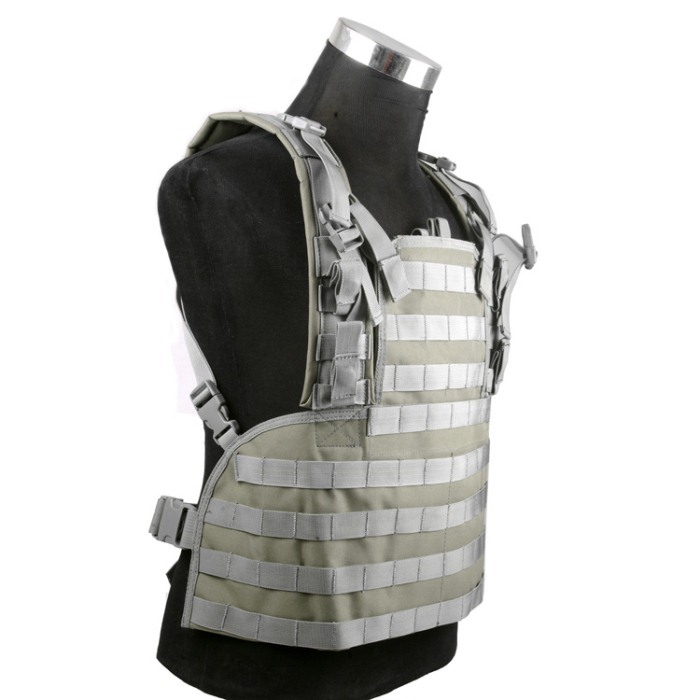 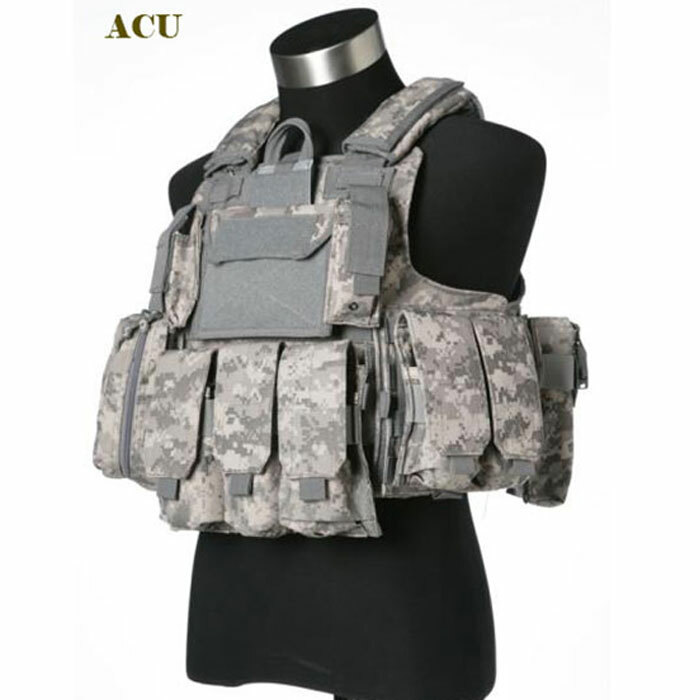 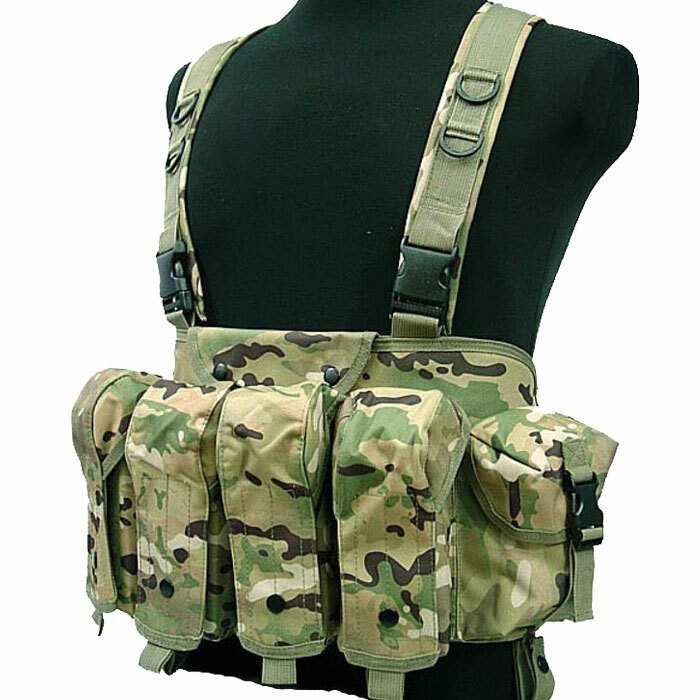 HiAirsoft carries a large selection of different types of vests.